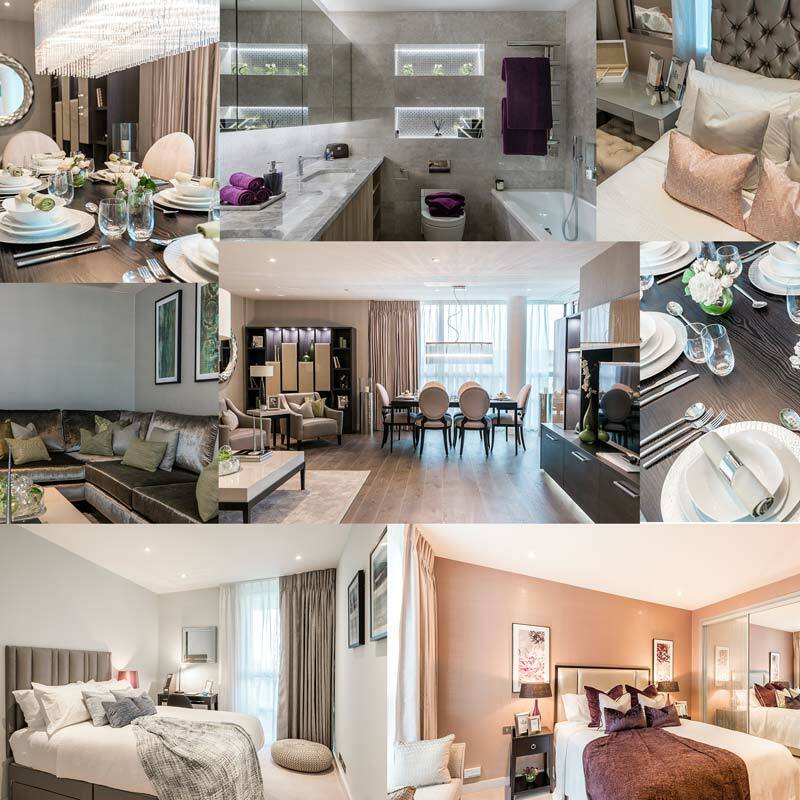 A luxury, boutique hotel feel was the brief for a spacious three bedroom apartment in St John’s Wood that we recently refurbished and furnished. 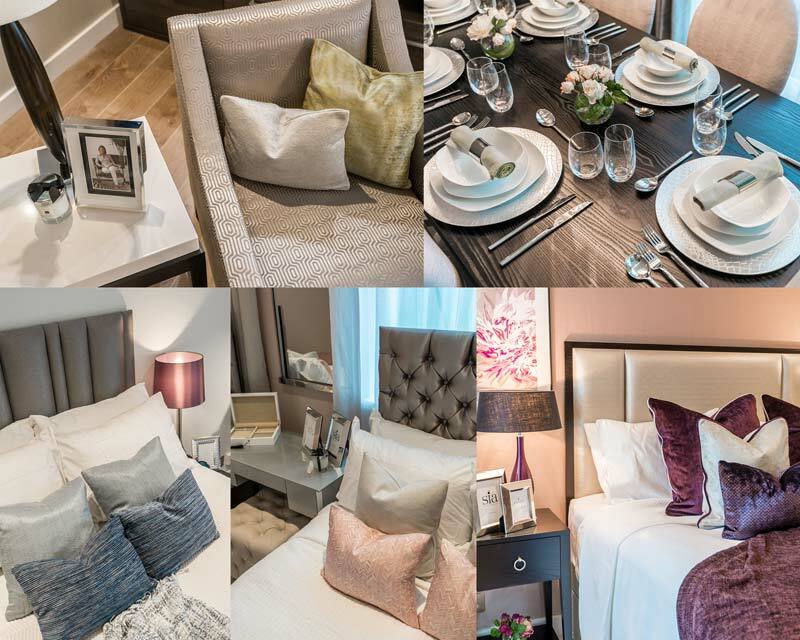 Sophisticated, neutral colours – silvers and greys – together with sumptuous fabrics and glamorous accessories were the essence of this bespoke interior design. 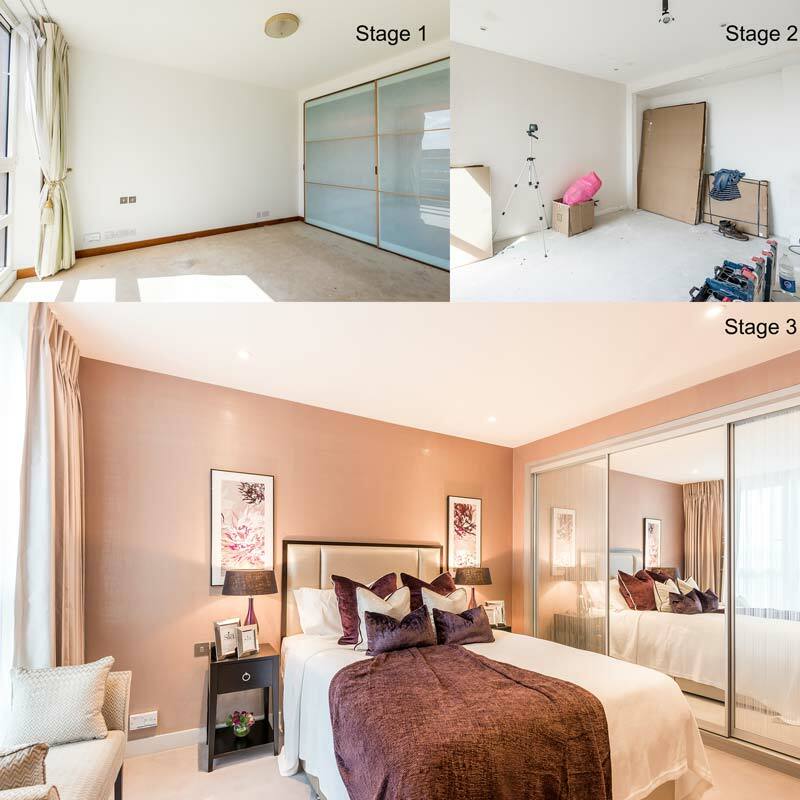 As our client lives in Africa, we decided the best way forward on this project was to source furnishings, colours and finishes during one of her trips to London. Together, we visited the showrooms and workshops of some of our trusted suppliers and craftsmen to find pieces that would look perfect in her new home. 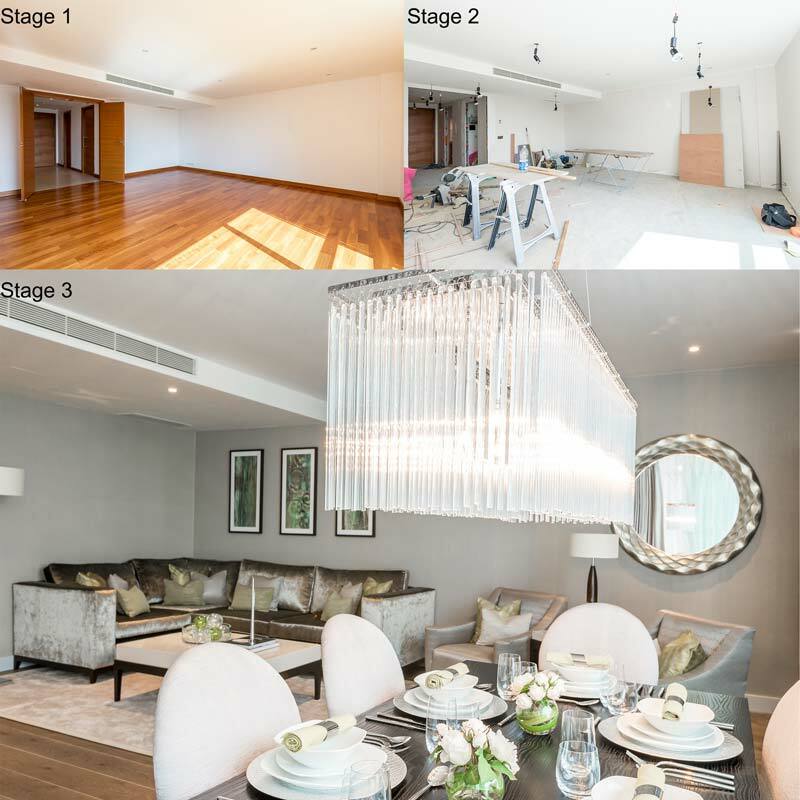 Step across the threshold of this fabulous apartment and you enter a lovely hallway from where you can see through to the living space and its stunning, glass light fitting which instantly gives the apartment the ‘wow’ factor. A simple console table and oversized mirror add to the grandeur of the entrance. 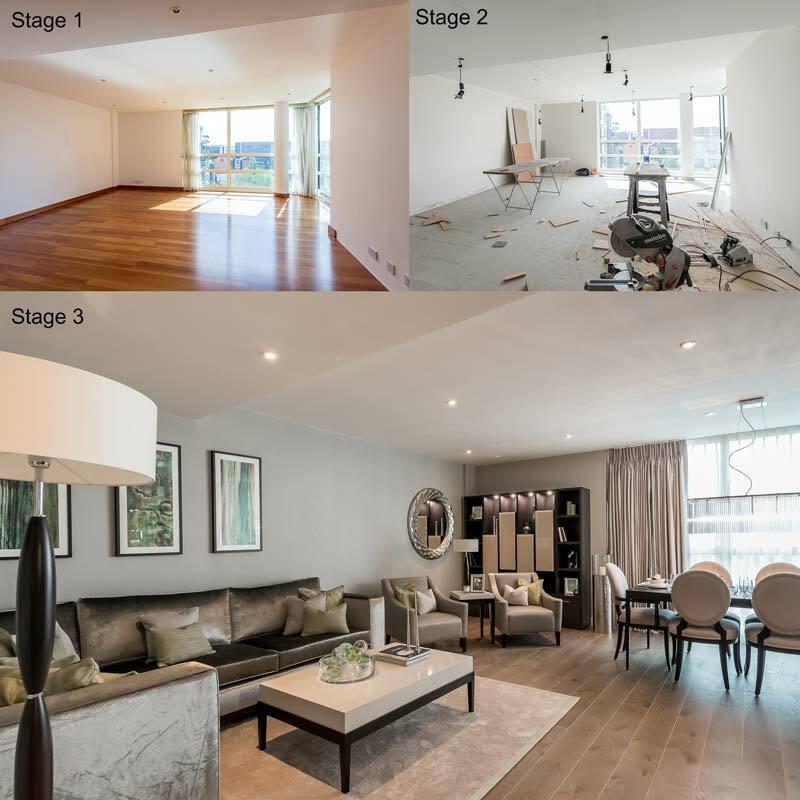 In the main living space, an opulent corner sofa in a rich, velvet fabric takes centre stage – bold yet welcoming and extremely comfortable.Throughout the space, we used luxurious fabrics with different textures and tones to add depth to the scheme. Olive, lime and chartreuse tones for the soft furnishings and accessories add touches of vibrant colour. Paolo Marchetti wall units are modern and stylish, offering much needed storage space. And we’ve made the dining space a real focal point with the fabulous low hanging light fitting which is a work of art in its own right. Moving through to the master bedroom and a combination of metallic wallpaper and a chic headboard with dark wood surround create a timeless design classic. Soft silver and rich purple accents and a mix of velvets bring opulence and elegance, complemented by two statement lampshades with beautiful glass bases in deep purple. 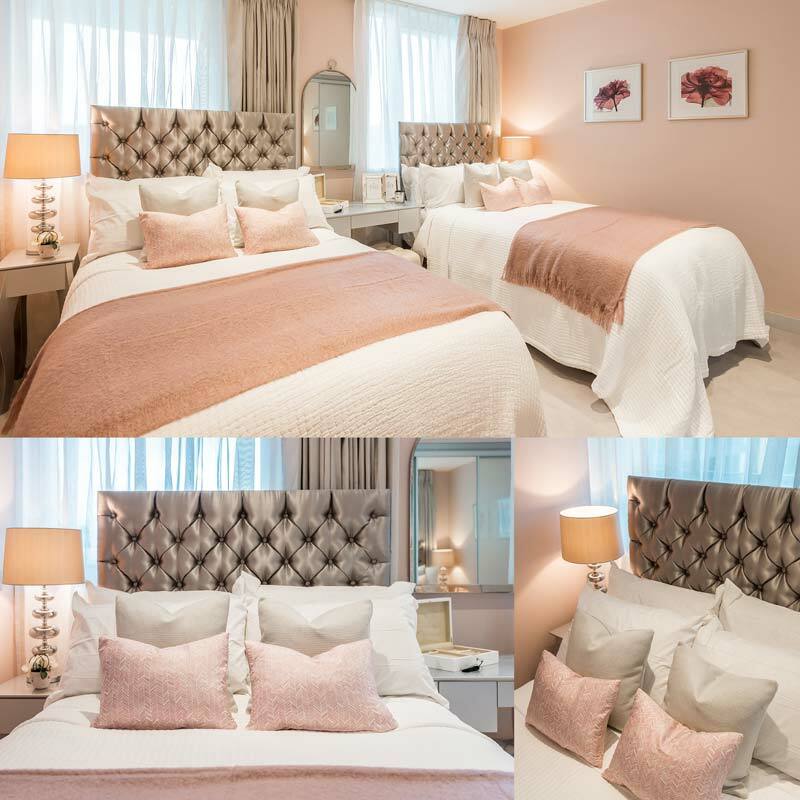 In the second bedroom, we chose French style furniture, complemented by dusky pink tones for the cushions, accessories and artwork to create a soft, feminine look. Sophisticated silver shades have been incorporated in the curtains and deep buttoned upholstery while we layered the look by teaming a subtle, geometric print on rose coloured cushions with a simple metallic weave fabric for the larger cushions. 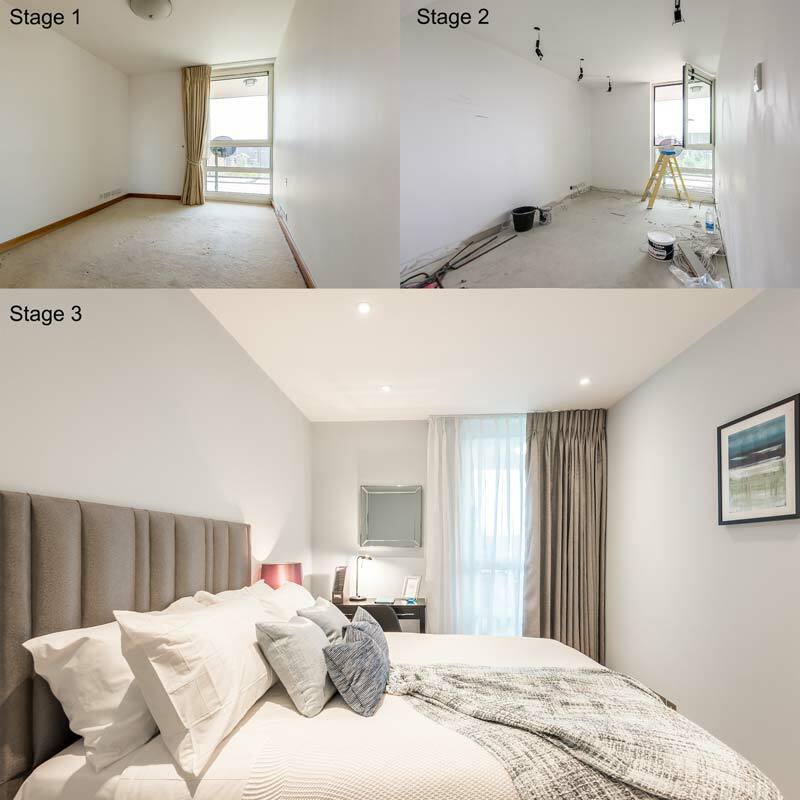 The look is quite different in the third bedroom, where soft furnishings and accessories in a mix of cool blue and deep navy hues complement the grey tones of the bed, curtains and carpet and the dark wood of the furnishings. 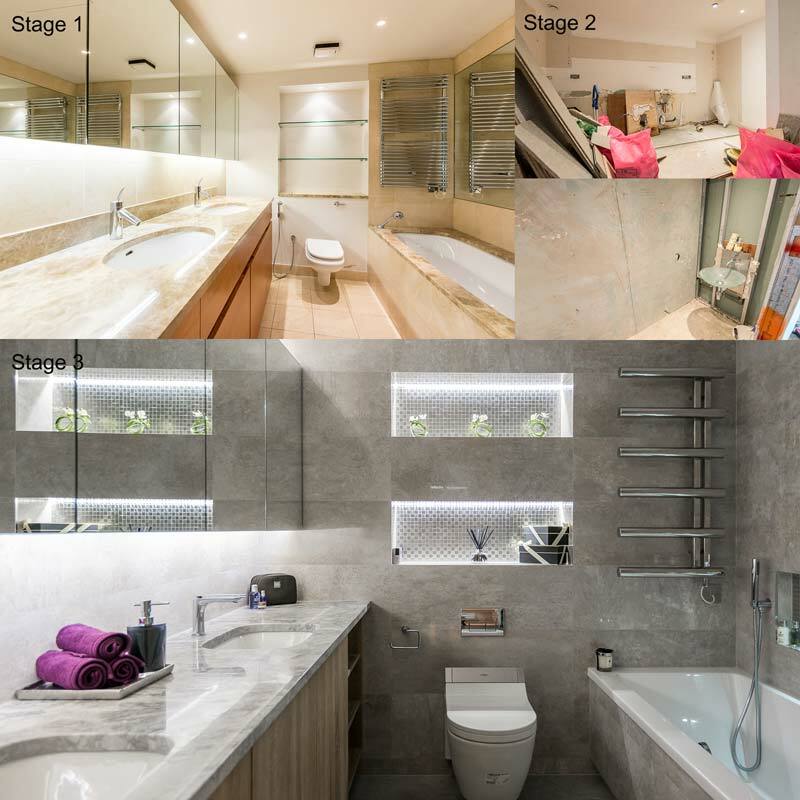 Completing the refurbishment are a lovely, modern kitchen and stunning, luxury family bathroom, cloakroom and ensuite.